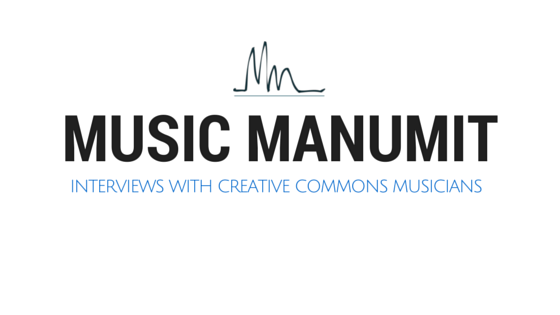 Music Manumit: Week 5: What's Copyright Got To Do With It? Week 5: What's Copyright Got To Do With It? On Thursday, I noted that Brian and I had not yet determined how we were going to work out things for the semester. That has changed. At least for this semester, Brian and I are going to do a "idea-critique" model. I initially proposed this as a "point-counterpoint" model, but Brian rightly pointed out that considering A) we are in the same class, B) we are reading the same cases and C) he's not a raging copyright maximalist, it is likely we'll agree on a lot. I proposed to Brian for this first dual-post that we discuss Golan v. Holder. That case is something Nick and I had planned to discuss and it is something that Brain and I just covered in class, so it seemed like a no-brianer. I want to diverge from that topic a bit though and implore people to think about the law in a broader context than just Copyright. If I persuade you here that you should go to law school, make sure you also listen to our "Is Law School Right For You?" Episode. I also want to say that this week's post might be a little lighter than other weeks because of the short turnaround time (Friday afternoon through Sunday). The issue I present today, however, is very important and very broad. We will return to the subject in Week 6 with "Boundary Problems," Week 11 with contributory & vicarious liability, Week 12 with fair use, Week 14 with contracts and Week 15 with both pre-emption and remedies. Even in the weeks where aspects of other law aren't on the face of the issue, they'll still be lurking in the background. Lastly, before I get into the substance of this week's issue,I do want to say that I have a little more written up about Weeks 3, 4 & 5. I haven't decided how I am going to present that but mid-week you may see something from me on the topics we covered. All of this is to present my central thesis which is that Golan v Holder is not really a copyright case at all (other than the elimination of a strict "no zombie rule"), but rather a case regarding the ability of treaties to super-cede other Constitutional provisions more generally. Since Brian and I have spoken about this thesis in person, I'm not going to defend it here. I'll let his critique show the promise and failings of the position. As always, if people have questions or comments, feel free to leave them in the comments. Week 8 in the schedule is currently dedicated to the midterm in the class, so is a bit of a built in time to readdress any issues that need more explanation. In the software world, plenty of people are interested in both patents and copyright. As it turns out, the courts associate them too. A lot of ink has been spilled on the interplay between patents and copyright, so I am not going to attempt to cover the topic comprehensively on the blog. For one thing, people don't usually associate music and patents, though they are not entirely separate disciplines as this 1901 patent shows. However, I felt it would be remiss to not mention the interplay, regardless of how briefly I do so. Brian is not currently taking patents, so he probably won't have much to say about this issue, but he is taking Trademarks so he may have something to say about the relationship between Trademarks and Copyright. Also, there are a few other TED talks on patents and copyright you can find using the law tag. I also wanted to share that one of my favorite persons from over at the Institute of Intellectual Property and Social Justice is once again on This Week In Law, um, this week. I also found this very old episode that features commentary on Lawrence Lessig and figured I'd share. Lastly, I finally finished all the supplemental readings for my copyright class which means in the future I'll be able to dedicate more time to the entries here!